The number of people who hunt waterfowl in the US has declined since the mid 1990s. This has resulted in a reduction of the number of duck stamps sold. Sales of duck stamps have funded the preservation of wetlands and other wildlife habitat, which in turn has supported an increase in waterfowl populations. This has benefited both the waterfowl hunters and everyone else who likes ducks and their kin. Historically, there has been a link between duck stamp sales and the duck population, with the causal link between stamp sales and duck numbers being the wildlife preservation areas supported by stamp revenues. However, since about 1990 this correlation has significantly weakened. The duck populations seem to be up, and doing well, despite the drop in stamp sales. But the drop in stamp sales has meant a possible reduction in wild lands preservation efforts. Eventually, the pigeons, as it were, may come home to roost and the waterfowl and other wildlife, as well as hunters and bird watchers, will be sitting ducks. Current waterfowl populations provide liberal hunting seasons, but waterfowl hunter numbers have declined since the mid–1990s. We hypothesized that trends in waterfowl hunter numbers, as indicated by Federal Migratory Bird Hunting Conservation Stamp (duck stamp) sales, have become independent of breeding duck populations, and we assess the impacts on habitat conservation. The relationship between duck breeding populations and duck stamp sales changed between 1955–1994 (r 1?4 0.81) and 1995–2008 (r 1?4 0.29). Based on the 1955–1994 relationship between total duck breeding population and duck stamp sales, about 600,000 fewer duck stamps than expected were sold annually during 1995–2008. This equates to a loss of US$126 million in gross revenue and from 42,500 to 80,900 fewer hectares of wetland and upland hectares protected. The current relationship between duck breeding population and duck stamp sales suggests future estimates of waterfowl hunters will decrease below 1 million when the breeding population declines below 32 million. Assuming current trends, expected losses of duck stamp revenues may result in an additional 2,800–13,900 unprotected ha/year if the duck breeding population declines to historical lows. Development and implementation of programs and policies that maintain or increase participation in waterfowl hunting will assist in habitat conservation efforts and continue waterfowl hunting traditions. It is not entirely clear why duck hunting is becoming less popular, and that was not a focus of the study, but the authors speculate that hunting levels will continue to decline owing to a number of social and economic factors. The duck stamp program makes sense in that those who are using a resource are paying a good part of the cost of maintaining that resource. The down side, clearly, is that changes in behavior (in this case, hunting practices) can result in unintended and negative consequences. Indeed, hunters who are after pheasants or other game can hunt on a Federal Waterfowl Production Area, taking advantage of duck-stamp funded conservation efforts, without a duck stamp. And, of course, bird watchers are in a sense free-loading on the duck stamps as well. Although not covered in the paper in the Wildlife Society Bulletin, the authors have suggested elsewhere (at conferences) that a different species of duck stamp be developed, with different price levels. Andy Raedeke, one of the paper’s co-authors has suggested having a stamp with a base price (say $20) for National Wildlife Refuge and Wildlife Protection Area efforts, another ($25?) allowing access for duck hunting with a reduced bag limit, another ($30?) for full season access and a super duper version ($50?) with full hunting access and a plaque or gift recognizing support. I’m thinking maybe one of those mugs that changes when you fill it with hot coffee; a view of a marsh when it is empty, and a flock of ducks taking flight when you pour in the java! But a separate stamp for wildlife preservation would also work. Duck hunters would be more than welcome to purchase the second stamp (possibly at a discount) when they get their duck stamp, but bird watchers and other outdoor enthusiasts would want one as well. The question remains: would a wildlife stamp be required to use certain lands, or would it be voluntary? A Federal Wildlife Conservation Stamp would provide a robust, parallel revenue stream for National Wildlife Refuges, preserving habitat and wildlife, while giving non-extractive users a funding tool and a stronger voice in habitat and wildlife decisions on our shared, public lands…Among birders and wildlife watchers, there’s little disagreement about supporting our 560 National Wildlife Refuges, along with the habitat and wildlife they sustain. Most wildlife watchers are anxious to contribute their resources toward that end. If you want to contribute to that effort, I know that Larry Jordan, Ingrid Taylar and Hugh Grew are asking for help, including guest bloggers who can write about wildlife refuges. Check out their site. Would you, as a bird watcher, buy a stamp like this even if you were not required to? I would. I certainly would buy a stamp although I’d want to know the money was going to what it is intended. A few years ago the goverment brought in a new hunting tax. The Ontario Federation of Anglers and Hunters supported it because the money would go directly to an already existing fund for wildlife and habitat enhancement. However, the OFAH later apologized to its members for supporting the fee because while the gov’t did put this money into the proper pot, they also reduced their regular yearly funds for the pot by the same amount. I think it was 3 million raised, and the gov’t reduced their funding to the program by the same amount. The OFAH was understandably very upset and they let all their members and the public know how the gov’t had betrayed them. So, I’d want the funds from a wildlife stamp to supplement existing funding, not replace it. @Daniel we want this Wildlife Conservation Stamp to work just like the Duck Stamp as far as the appropriations of the moneys. All of the contributions would be required to go directly to purchase or lease wildlife habitat for protection in the National Wildlife Refuge System. The thing is, we don’t really know how much wildlife watchers and enthusiasts actually contribute to conservation funding because there are so many conservation organizations out there, the money is spread out and our contributions are not able to be quantified. A Wildlife Conservation Stamp with all of its proceeds going directly to purchase or lease wildlife habitat for protection in the National Wildlife Refuge System would be one avenue of contribution that would be easily traced. This contribution by non-extractive users would allow them into any National Wildlife Refuge for the entire year. We also agree that the price of this stamp and the “Duck Stamp” should be set higher than the current price of $15. Not sure. I think I would rather send an extra 25 bucks to a (local) conservation organization (that I am already supporting, by the way) that purchases and protects land where hunting is forbidden, where I can watch birds safely at any time of the year and where water levels are not managed to support waterfowl exclusively. Laurent, I understand your sentiments and share those concerns. I always support my local regional parks and other areas of wildlife sanctuary for the same reasons. But, I do patronize Wildlife Refuges as well — and it’s a Catch-22 of sorts. All of us who visit the Refuges understand the critical importance of habitat and the inherent value of the land and wildlife. But, traditionally hunting and hunting habitat management have been given priority on these public lands, precisely because funding streams have been attributed to hunters (Duck Stamp, etc.) Right now, there is no mechanism in place to even tally the Duck Stamp dollars coming from birders, photographers and collectors. That is one of the things we aim to correct with the Wildlife Conservation Stamp. In our proposal, we’ve listed some of the objections birders, photographers and other conservation-minded advocates cite with respect to Duck Stamp purchases. 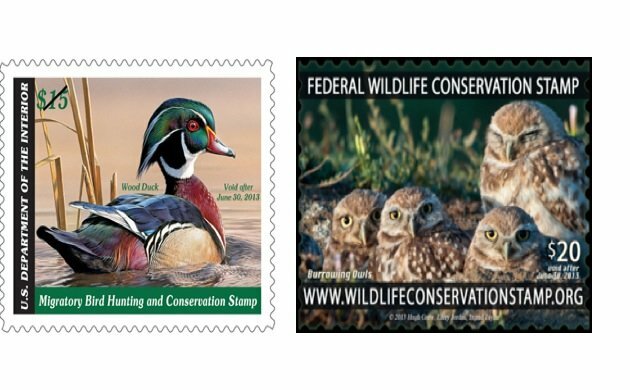 We believe that with 71+ million non-extractive users in the U.S. alone, this stamp can be the vehicle to promote the types of habitat, wildlife conservation, recreational opportunities that have been historically short-changed for waterfowl management priorities. If you haven’t already, take a look at our website (linked to in this post) to see what we are proposing. Thanks for taking the time to comment, and thank you, Greg, for this great mention. I see the point of wanting to support hunting free land, but in addition to that I think i is important that when the Department of Interior, BLM, state conservation offices and the Nat. Park Service sit town at the table that the main NGO not just be the hunters. I want to see the birders elbow their way into a seat at that table. You can buy stamps and not hunt. If you guys want to, as the article says the funds go to purchase of land, but NOT for any improvement, roads or officers to patrol the said land. Anyone think that the counts are not correlating to what hunters are seeing in the field? Maybe the number is falsely padded do license sales don’t drop. I for one have not been able to correlate federal counts with what I actually see in the real world. Counts tell me highest total of migrating waterfowl in my lifetime. My eyes tell me lowest numbers of waterfowl wintering in Louisiana in my 40 years. Something is way off, either me or them. Here in the upper peninsula of Michigan we are seeing a drastic decline in duck populations. Maybe the fly ways have changed?